This film would not be possible without Denise Markonish and Gian Pablo Villamil. 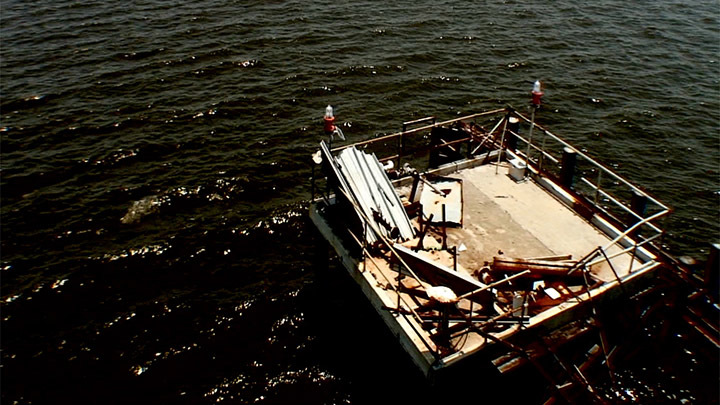 High Water was filmed in post-Katrina New Orleans and the surrounding wetlands, one of the fastest disappearing coastal areas on the planet. The work engages viewers in a contemplation of a landscape, damaged by human intervention that nevertheless struggles to retain its vitality. 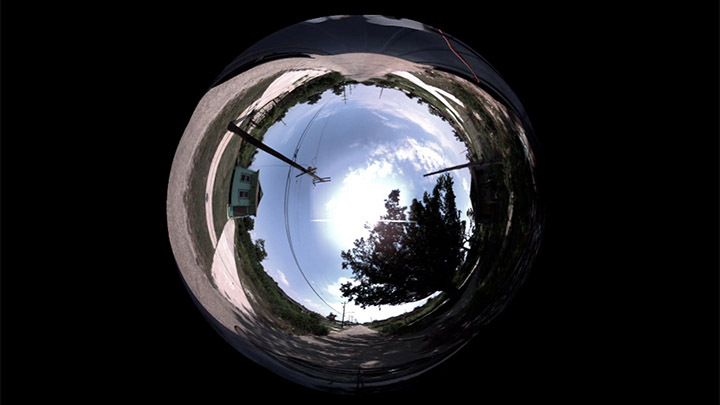 Some of the footage in the film was obtained using a 360-degree panoramic camera. 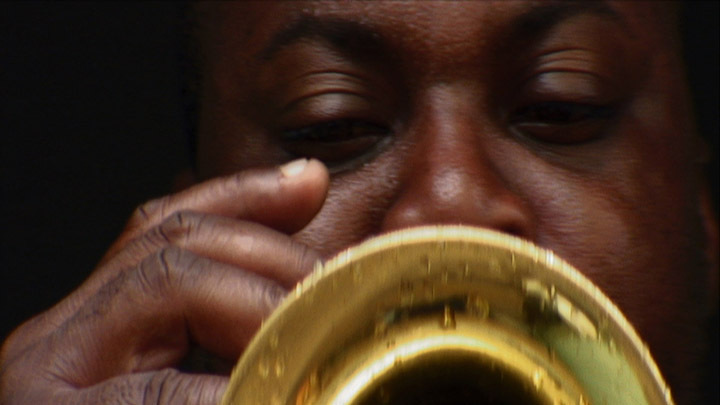 The images include an approaching hurricane, a burning oil spill in the Gulf of Mexico, defunct oil-rigs, as well as a quiet interlude in the city of New Orleans where a trumpet player intones a mournful tune on a rainy day. 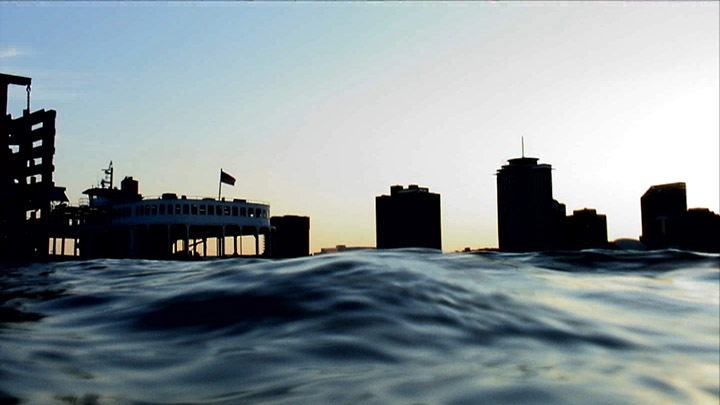 The film is accompanied by Stephen Vitiello’s atmospheric soundtrack. The Louisiana wetlands are eroding at a rate of one football field’s worth of land every 45 minutes. 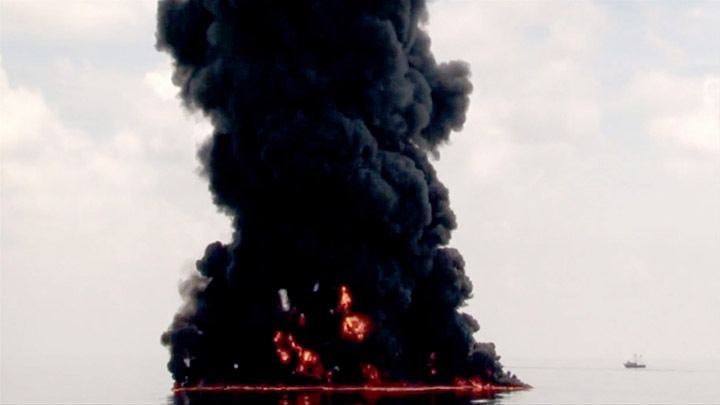 High Water is a poetic rendering of this crisis situation in a threatened coastal area, home to a great seat of culture, and to major industries such as oil refining and fishing. 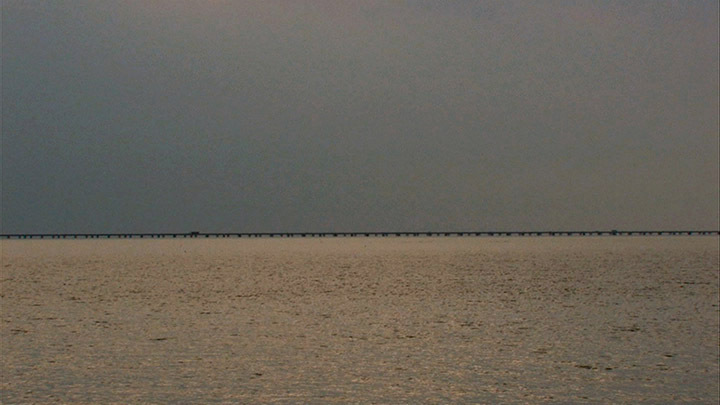 The crisis portrayed is that of southern Louisiana, but it is also present in other areas around the globe destabilized by climate change and various types of human interference into the workings of nature.